Celebrate the wonders of the Natural State! 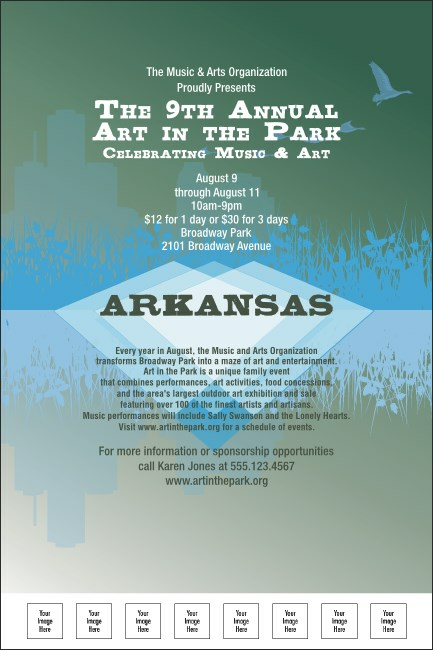 From Little Rock to Fayetteville make sure your local gatherings are well attended when you rely on the Arkansas Poster to get the word out about your event. Printed in blue and green, this poster has eight spaces for your custom information. For all your local event planning, stick with TicketPrinting.com.